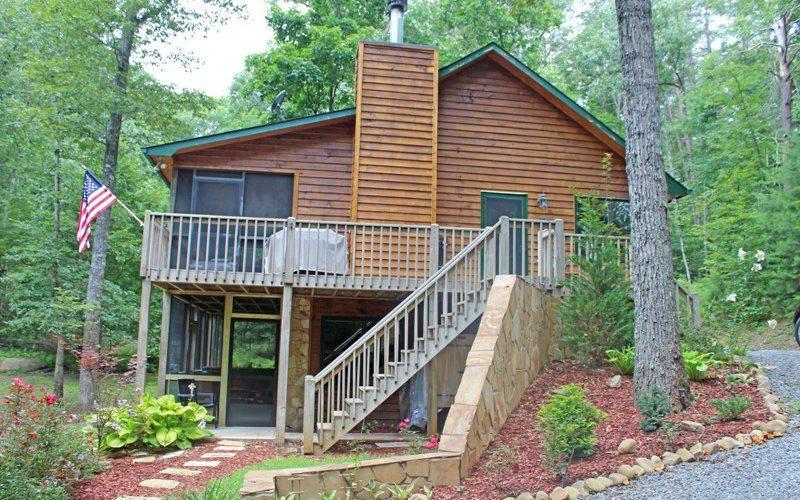 FULLY FURNISHED Spacious 3 bedroom/2.5 bath cabin nestled in the woods with RIVER Access and lots of privacy! 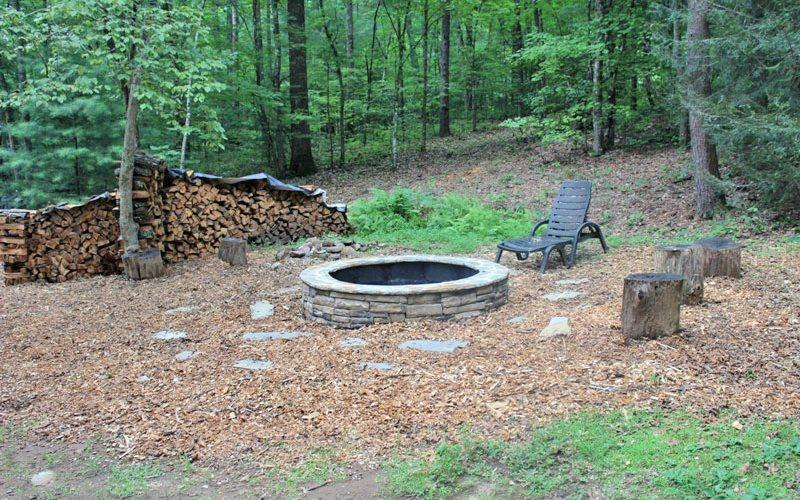 Enjoy the great outdoors as you sit on the screened in porch listening to sounds of nature or go down to the creek and try your luck at catching some fish (access point 100 yards away); gather around the fire pit for s'mores and/or stories; and watch the abundant wildlife come and go around you. 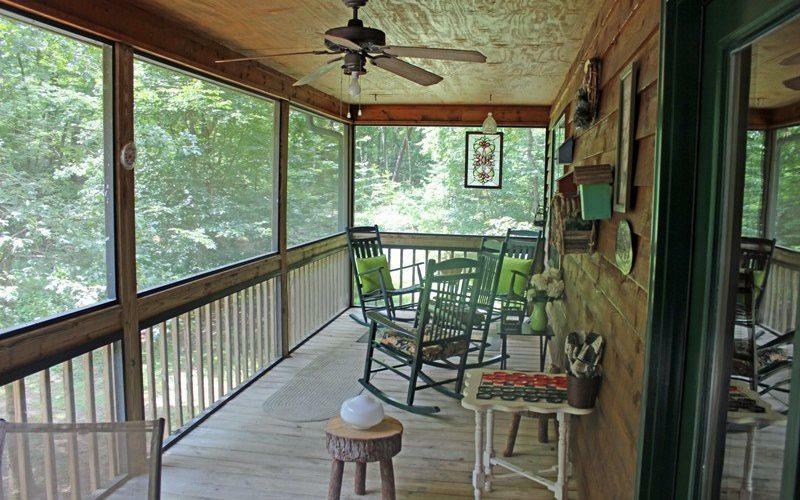 Easy Access to Blue Ridge, GA for shopping, dining, and recreation. Inside, enjoy the open floor plan, rock fireplace, vaulted ceilings & eat-in kitchen. 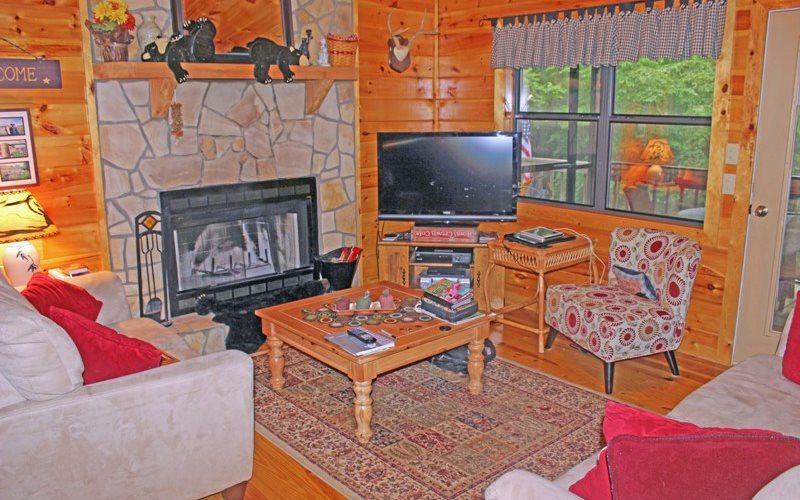 Relax by the Wood burning Fireplace; Hardwoods throughout main level.The master bedroom is spacious and has a king bed for a great nights sleep. Bedroom #2 has a queen bed and the 3rd bedroom features 2 singles and a double. Listing provided courtesy of Hidden Key Properties.